Use this Homer Laughlin rolled edge 11 1/8" creamy white / off white plate to serve renowned main entrees. Its simple, rolled edge design is draped in a high-fired glaze. 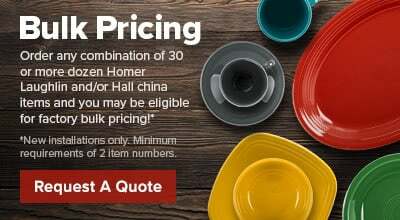 This Homer Laughlin rolled edge plate features a wide rim and sleek style. Its chip-resistant design is perfect for use in hotels, restaurants, and at catered events.